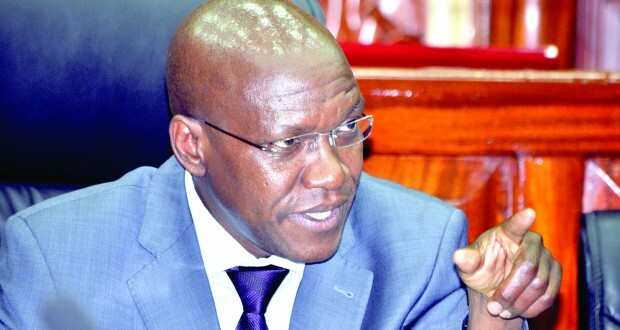 Former Kakamega senator Boni Khalwale is facing backlash from Ford Kenya party members who have planned to take disciplinary actions against him for backing Deputy President William Ruto’s 2022 presidential bid. Unmoved, the ex legislator has told off his party members whose integrity, he says is at risk. Khalwale is quoted by a local daily as saying that Wetangula pays DP Ruto night visits as he tries to broker a deal. “I want to tell the Ford Kenya leadership that their integrity is at stake. Why should they visit Ruto at night and negotiate only to pretend during the day when they go back to Bungoma?” Khalwale said. On Sunday the Ford Kenya leadership held a delegates meeting in Bungoma where they chided the ex lawmaker for openly supporting Ruto who is poised to take over from President Uhuru Kenyatta. His newly found love for the Jubilee party deputy leader he has reiterated is not for personal gain but for the betterment of the country and its people. Khalwale has been attacked by COTU secretary general Francis Atwoli and Kakamega Senator Cleophas Malala, two leaders against a Ruto presidency. While the DP has called upon leaders to shun 2022 politics, his allies have continued to traverse the country in what is now known as the Tanga tanga movement.